In this lesson, we're going to be going through seven killer bar chord drills for the guitar. 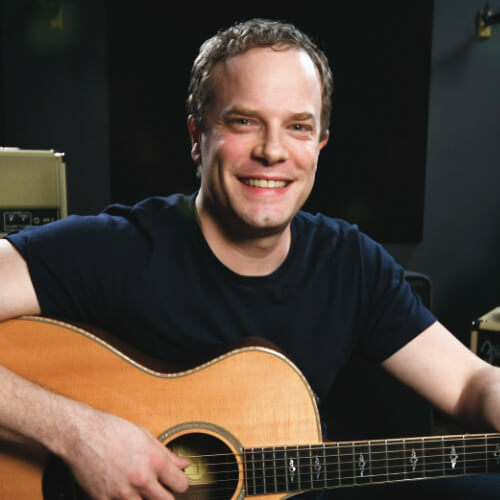 Bar chords tend to be one of the more difficult challenges to overcome for guitarists, so adding some bar chord drills to your daily practice can go a long way to finding success on the guitar. If you're brand new to bar chords, you may want to check out these 3 Steps To Better Bar Chords. We'll be covering 7 different drills that you can incorporate into your practice schedule to improve your bar chords on the guitar. The first three are great for players that are newer to bar chords, and the last four are a little more challenging. Choose two or three of them and practice them for just a couple minutes each day and you'll notice some major improvements in just a few short weeks. The first bar chord drill we'll look at is simply placing your bar chord shape down and taking it off repeatedly. Doing this will help build up some basic muscle memory for the bar chord shape you're working on. You can do this with any shape that you're working on. For this lesson, we'll be using a standard G major bar chord shape. An important aspect of bar chords is moving the shapes up and down the fretboard. Starting with whichever shape you're working on, move the whole shape up one fret at a time. You'll notice you'll have to scrunch your fingers up as you move up the fretboard so that your fingers fit between the frets. For the next bar chord drill, we'll work on changing between major and minor shapes. 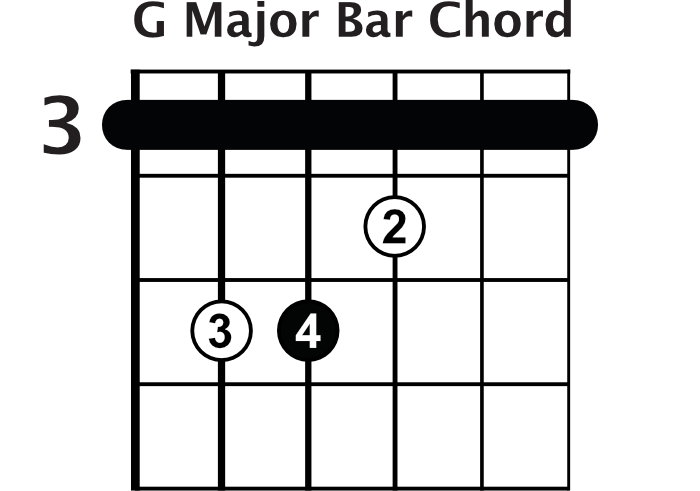 The most commonly used bar chord shapes are the E and A major and minor shapes. It's important to be able to quickly go between your major and minor shapes. Practice going back and forth between major and minor shapes on the same fret. Another transition you'll need to have down when playing bar chords is moving between E and A shapes. It's important to be able to move back and forth between the shapes on many different frets to get used to the different spacing. You'll also want to do this with both major and minor shapes. For the next drill, we'll apply our bar chords to a proper chord progression. A I IV V progression is one of the most common chord progressions you'll encounter as a guitarist. For this drill, you'll start by playing a G major bar chord using the E shape. Then you'll go to a C major, D major, and end back on the G major. This exercise is great because it gives you some more clear musical context. For our sixth bar chord drill, we'll practice the same I IV V progression using different bar chord shapes. You'll start with a G major bar chord using the A shape. From there you'll go to a C major and D major shape, both of which will be using the E shape. Finally, go back to the G major A shape bar chord. This drill might be a little more challenging since the frets are so close together making it hard to fit all your fingers in there. For the final bar chord drill, we'll try a workout pattern. For this exercise, we'll go from our E shape to our A shape, then move up one fret, and go from our A shape to our E shape. Next, you'll go up a fret and go from your E shape to your A shape, and back and forth as you climb up the fretboard. Remember, you may have to play the shapes differently as the space between your frets gets smaller. Choose a few of these drills to add to your practice time depending on what skill level you're at, and be sure to change up the drills you're practicing to keep it interesting. Working on these drills every day will help you to see some major progress with your bar chords.